VietNamNet Bridge - The Asia-American Gateway (AAG) submarine cable will undergo maintainence from 11pm on June 22 to 28. In these 6 days, the Internet in Vietnam will be affected, according to a local telecommunications company. According to this source, the AAG cable maintenance unit will have to reconfigure the source system and weld the optical cable of the segments connecting Vietnam to Hong Kong and America. The segment between Vietnam and Hong Kong will be welded from June 22 to 27. Then this segment will be interrupted from communications and the source configuration will resume operation on June 28. During the maintenance time, connection to the common services such as Facebook, Google and international sites will be generally difficult to access. However internet access to local sites and services will be normal. In Vietnam, AAG is the main cable used by local Internet service providers to connect the country with other nations. 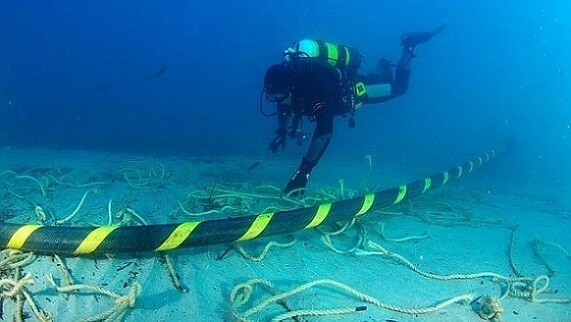 The AAG is a 20,000-kilometre long submarine communications cable system, connecting Southeast Asia with the US mainland, across the Pacific Ocean via Guam and Hawaii. With a total investment of approximately $560 million, AAG has a length of nearly 20,000 km, starting from Malaysia (TM) and ending in the US (AT & T Telecom Company). The segment to Vietnam is 314 km long and lands at Vung Tau. There are four participants in the system, including FPT Telecom, VNPT, Viettel and SPT.